In efforts to escape her dusty, small south Texas town of Benavides, Luz García (Corina Calderón) turns to a power-lifting scholarship to help pay for her education. Coming from a poverty-stricken background, she must learn to deal with and face the challenges that await her. 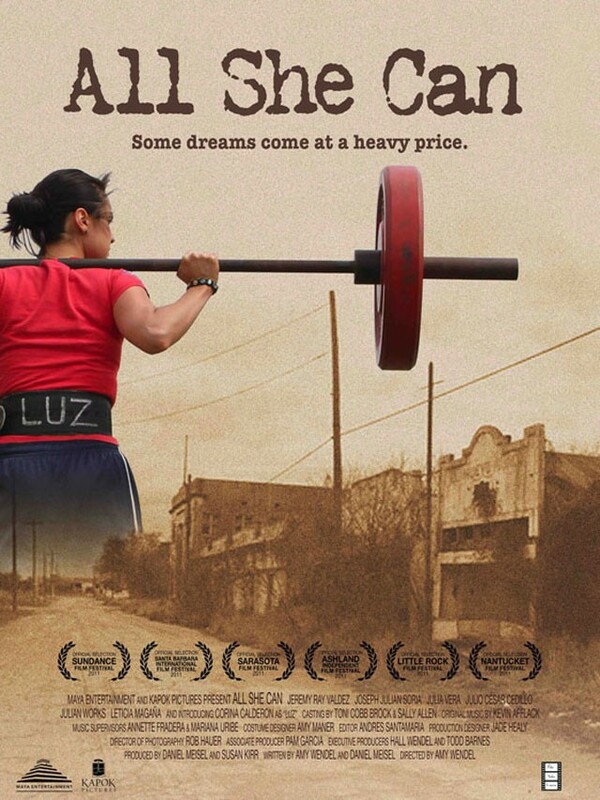 Director Amy Wendel’s All She Can (her first narrative feature) tells the story of Luz’s determination to attend the University of Texas at Austin, but when everything takes a different turn she learns that she must do all she can to achieve her goal. Familiar, huh? Not that familiar — this is an American story about determination and perseverance, but it is closer to the raw realism of Stand and Deliver than your stereotypical sport-as-a-ticket-out movie such as Friday Night Lights. Semi-spoiler alert: This is an open-ended movie about the importance of the path, not about answers or resolutions. For the viewer, it is an engaging path wrapped in a powerful score (Abra Moore’s “100 Miles” is a standout) that perfectly captures the movie’s essence. Shot entirely in Texas (with a brief San Antonio scene), 80 percent of the movie was shot in the original locations indicated in the script. 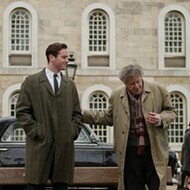 That, and carefully created set designs make it possible for the movie to be engaging and honest. All She Can isn’t Million Dollar Baby, but anyone who appreciates an unpredictably simple story will enjoy it. This is not just a “sports movie” — it is a movie about fear, temptation, and that ever-present light at the end of the tunnel we don’t always see.